Reflex mounts with a ball-and-socket arrangement so you can effortlessly find the best viewing angle without getting dizzy trying to focus. 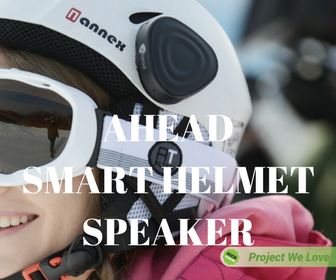 Reflex has a small base that sticks permanently onto any helmet and is guaranteed not to come loose or fall off over time. When you want to use Reflex, push it onto the base and when you don't want it, simply pull it off. It also has a handy rotating arm allowing you to flip Reflex back out of the way when you don't need it and then easily dial it back into position. The ultimate, hassle-free solution for cyclists on city streets and on narrow, winding country roads who need an effective way to see what's coming up behind them. 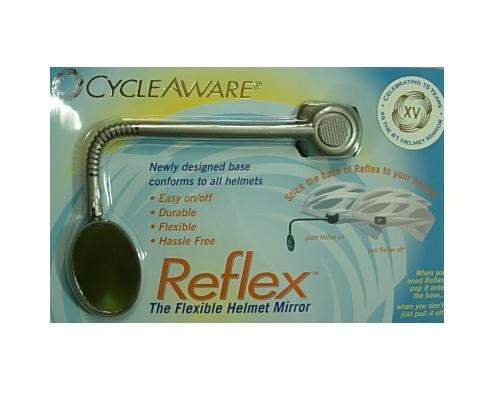 The unique "Gumby"-like Kraton covered wire makes Reflex the first and only flexible and fully adjustable helmet mirror. The generously oval shaped mirror on Reflex provides a larger field of view than other mirrors and its vertical aspect increases depth of field.